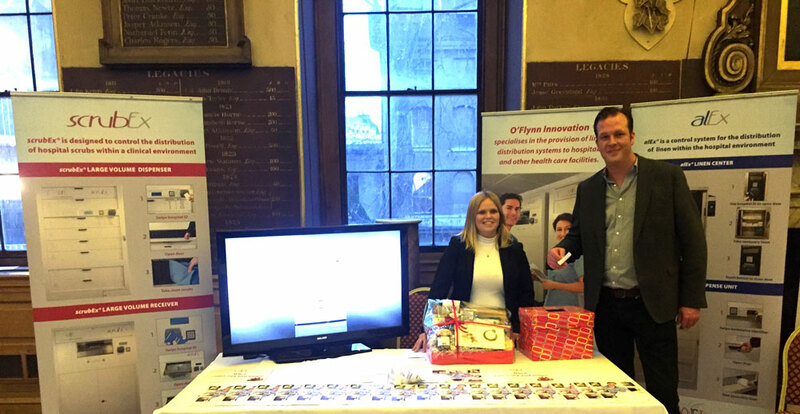 O’Flynn Innovation attended the Annual NHS Innovation in Facilities Management Expo 2016 on Tuesday 13th December where we showcased ScrubEX. We met some lovely people and everyone was invited to pick out an exciting fact about our ScrubEx product, they were then entered into a prize draw to win a luxury Irish Hamper. The winning ticket was picked by Guy Whiffen, Event Organiser (pictured) and the lucky winner was Paul Macgregor from Chelsea and Westminster Hospital. We delivered the hamper to Paul on Tuesday who was delighted to win.